Do you ever look at your wardrobe and feel overwhelmed by the chaos? I’ll be the first to admit that when there is no method to the madness, it’s hard to feel like a functioning adult. To help you sort through the chaos, think of your clothes’ specific type and function. 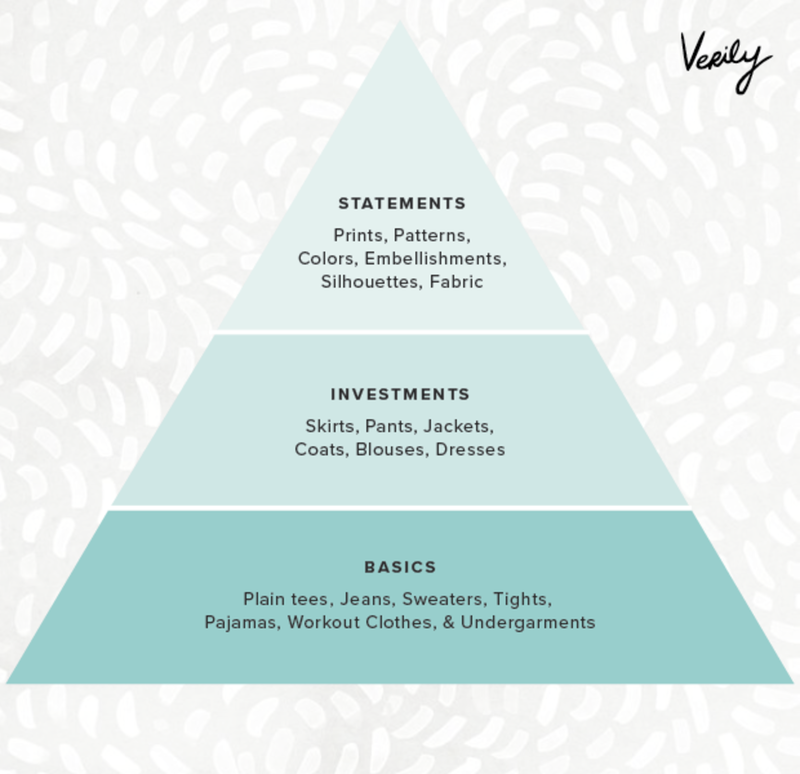 This will generally fall into three distinct layers in your wardrobe, like a food pyramid of sorts: 1) Basics, 2) Investments, and 3) Statements. 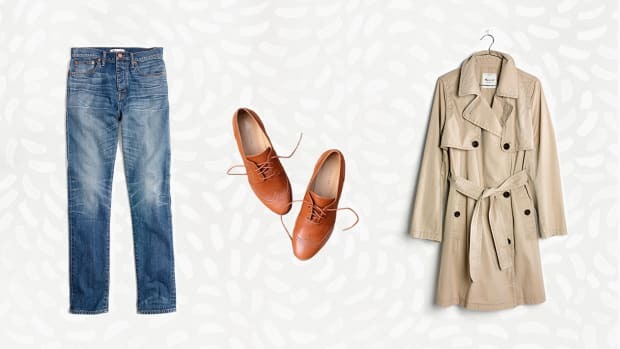 Categorizing your clothes into these layers will allow you to analyze what you already own and direct you in how to shop in the future, making getting dressed in the morning much easier. Think of these as the foundation to your wardrobe and the building blocks upon which the rest of your wardrobe depends upon. Your basics are your everyday essentials, whether you’re going to work or it’s your day off. 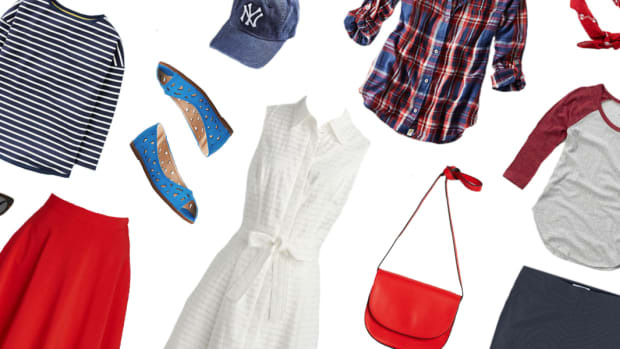 These items are your must-haves for daily life, regardless of the occasion. They serve as the canvas for any outfit. This bottom tier is the widest, meaning you will probably have more basics than anything else in your wardrobe because typically you will need numerous styles or colors (that are neutral) of each basic. Basics are similar in style but differ in details or characteristics. For example, if a plain tee is a style of shirt, the details or characteristics would be in the color and fit. 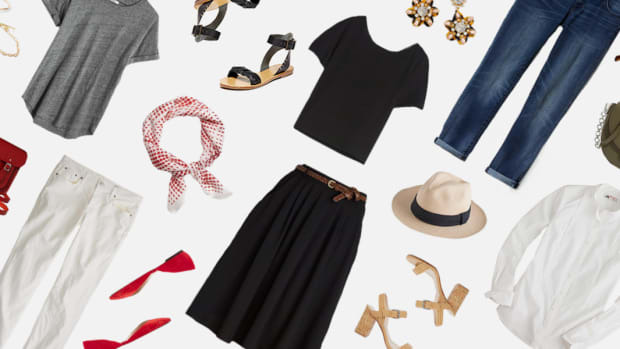 A great way to determine whether an item is a basic is to think back to a time when you said, “I wish I had this in X color” or “I wish I could wear this same top every day.” These are also items you might need to replace every few seasons due to wear. Plain Tees: long-sleeve, short-sleeve, black, white, etc. 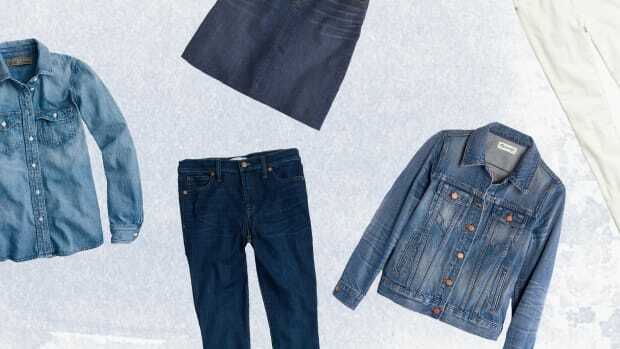 Jeans: black jeans, blue jeans, boyfriend fit, skinny fit, etc. Sweaters: thin knit, chunky knit, long, short, cream, navy, etc. Tights: black, gray, nylon, knitted, opaque, etc. Your investment pieces have a lot to do with your lifestyle. These pieces are either what you wear to work or are necessary for maintaining and creating your professional appeal; that’s why they are the core of the pyramid. These are not to be confused with basic items, however, because you are investing in one type of item so that it may last you many years to come. Investment pieces are similar in type but differ in style. 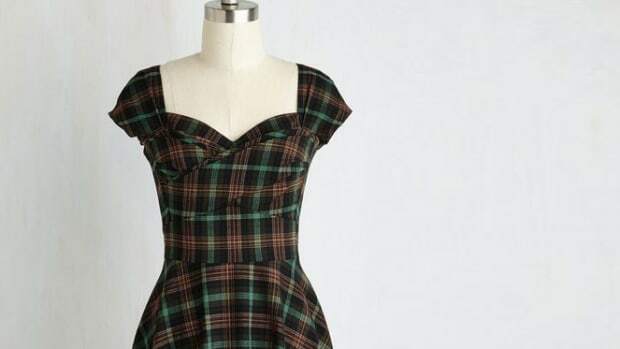 For example, a skirt would be the type, and midi skirt, pencil skirt, and maxi skirt would be the different styles. A good way to determine whether an item falls under the investment tier is to ask yourself whether it’s something that makes you feel put-together. Under each type you need only one of each style. Statement pieces are the items that reflect your personal style. While the two bottom tiers of your wardrobe work together to create a solid foundation, your statement pieces are the items that top it off and are uniquely you. Your base items can reflect your tastes, but the statements are the special pieces that express who you truly are. Statement pieces are at the top of the pyramid because you need a strong foundation of basics and investments to make your statements work. A wardrobe full of statement pieces won’t stretch, and your outfit options will be limited. Statement pieces are one-of-a-kind items that stand out and are defined by their uniqueness and quality. While their form will most likely be similar to the types of your investment pieces or styles of your basics, they will differ in details and attributes. As for putting together an outfit? The pyramid not only guides you in understanding what a solid wardrobe looks like, but it can also supply you with the anatomy of an effortless outfit. When following the pyramid scheme for an outfit, you begin getting dressed with your basics (e.g., tights, long-sleeve shirt), then your investment pieces (e.g., midi skirt), and finally your statement pieces (e.g., embroidered jacket). A good tip to keep in mind when dressing is to always work from the bottom up. A strong foundation guides the rest of the outfit, hopefully limiting your morning outfit changes by giving you a clearer vision of your desired ensemble. And just like that, your morning routine will suddenly become much more streamlined simply because you are aware of the three tiers that make a solid wardrobe and outfit. Rejoice! Maxi dress season is finally here.